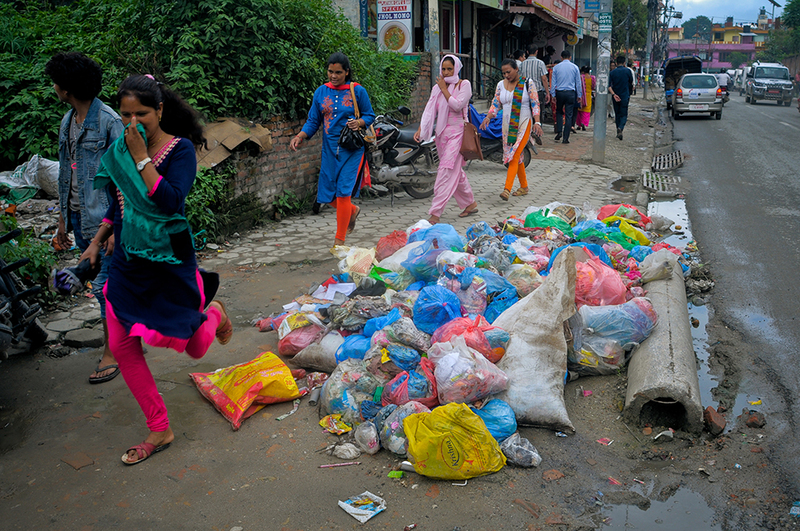 KATHMANDU, July 16: The smell of rotting garbage is the new normal in Kathmandu Valley. The Kathmandu Metropolitan City (KMC) office's unpreparedness has left garbage heaps lying unattended on the roads and streets of the capital valley for over three weeks now. KMC officials say if the rains continue, they may not be able to pick up the garbage for some more days as the dirt road to the Sisdole landfill site in Nuwakot district has become almost impassable due to landslides and only a few garbage trucks have been dumping garbage at the site these days. Although the waste of the entire valley is disposed of at Sisdole, KMC has been taking the responsibility for the upkeep of the road and the landfill site, according to KMC officials. Epidemiologists meanwhile pointed out the fear of diseases outbreak in the capital if roads continue to remain strewn with garbage and wastes. First, the road to Sisdole landfill site in Nuwakot, the only waste disposal site of the capital, is in a bad shape. Second, landslides along the road during monsoon season are a common every year. Despite these facts, the KMC made little efforts to ensure the road to Sisdole remains operational even during the monsoon. “This is the reason why the roads and houses of in the capital are filled with piles of garbage for weeks,” said a highly-placed official at KMC, who did not want to be named. According to chief of the environment division of KMC Rabin Man Shrestha, only 5 to 7 trucks run by KMC have been able to ferry garbage from the capital on a daily basis for the last three weeks compared to 30 trucks of garbage it sent on a daily basis on normal day. Much worse, the private firms hired by the KMC to pick up garbage on its behalf from various nook and corner of the city have completely stopped ferrying garbage to Sisdole citing the poor condition of the road, said Shrestha. “Collection of garbage has been seriously hampered in areas like Kalimati, Sinamangal to Dilibazar, and Baneshwar, among others. As it may take some time to make the road operational, we have already asked our ward offices to ask the city dwellers not to throw waste on the streets and try to manage on their houses,” Shrestha said. 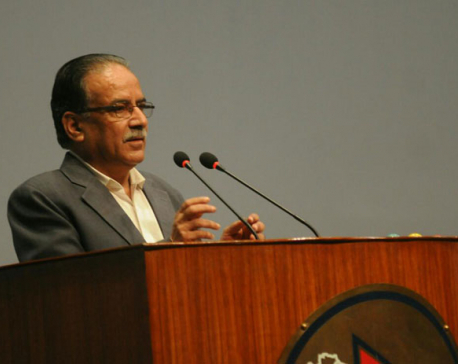 He said that the KMC has initiated the process to hire contractor to clear the landslides along the Sisdole road. “It may still take at least over a week before the garbage collection resumes in the capital,” he said. 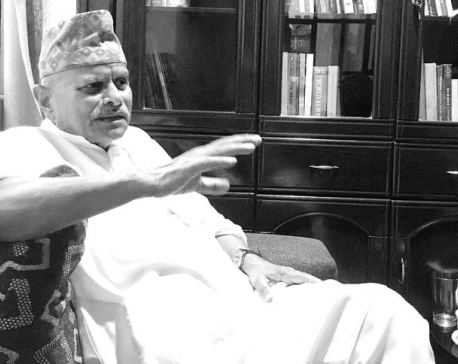 Since garbage of Bhaktapur and Lalitpur districts are also dumped at Sisdole, the city offices in the districts also have not been able to pick up garbage for over three weeks now. As a result, locals have started dumping garbage on roadsides in the districts. Shrestha also said that the Sisdole landfill site has reached its capacity. “The landfill site already has more waste than it can hold. Even if trucks carrying garbage reach the site, there is no space to unload the garbage. It is also another reason why garbage collection has halted in the capital,” he said. He said if the government does not find a new landfill site within the next five months, the garbage collection work will be affected again. Epidemiologist Sher Bahadur Pun said that there is a high risk of diseases like diarrhea and typhoid spreading in the capital if the garbage is left unattended on the streets for a few more weeks. “Garbage is lying on roads and houses already for weeks now. Plus, there is rainfall. It is highly likely that the water from the garbage may mix with the drinking water. The local authorities should take necessary measures to pick up garbage immediately,” he added.